The Houston toad may be diminutive in stature but has a story as big at Texas! Soon after being identified as a unique species in the 1950s by its distinctive, high-pitched advertisement call, the wild population began to precipitously decline, ultimately earning the Houston toad the unfortunate distinction as the first amphibian to be added to the US Endangered Species List. Unlike the pervasive Gulf Coast toad, the toad most commonly found in urban landscapes, the Houston toad is more finicky about what it calls “home.” Considered a habitat specialist, the Houston toad requires an environment with deep-sandy soil with an associated cover of trees because they spend much of their time concealed underground to escape the often brutal Texas heat (a phenomenon called estivation, which is hibernation during high temperatures). 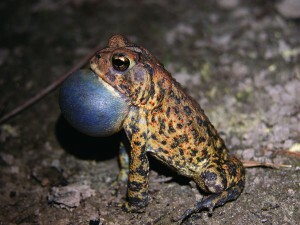 Houston toads were historically distributed throughout twelve southeastern Houston counties that included Austin, Bastrop, Burleson, Colorado, Fort Bend, Harris, Lavaca, Lee, Leon, Liberty, Milam, and Robertson; however, this range has significantly decreased over the past 40 years due to habitat loss, deforestation, urban development, and a slew of natural disasters . 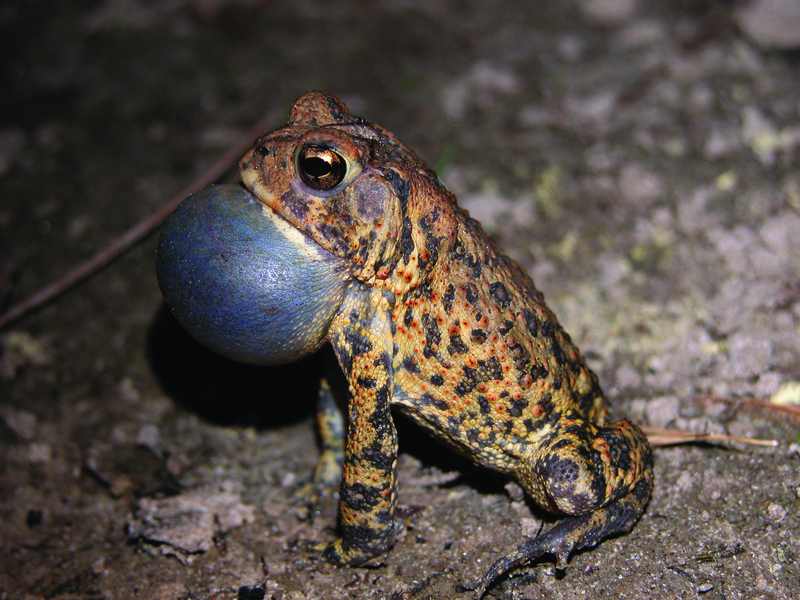 Once an abundant visitor to Texas ponds in the early spring (anecdotal accounts mention hundreds of calling Houston toads at a single pond in one night), researchers are now happy just to hear a single male calling over the course of several weeks. It is currently estimated that only 150-300 toads still exist in the wild. Determined to not let this unique Texas native go extinct, in 2006 the Houston Zoo partnered with U.S. Fish and Wildlife Service, Texas Parks and Wildlife, and Texas State University in an effort to recover the Houston toad. 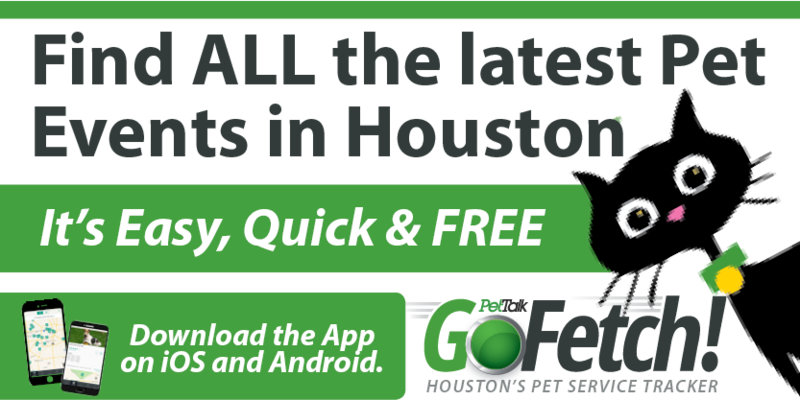 The zoo constructed a 1,200 ft2 toad quarantine facility exclusively for Houston toads that serves multiples purposes. First, the facility functions as an “ark” for the species, housing both wild-collected and captive-born toads that represent the genetics of the remaining, wild population. 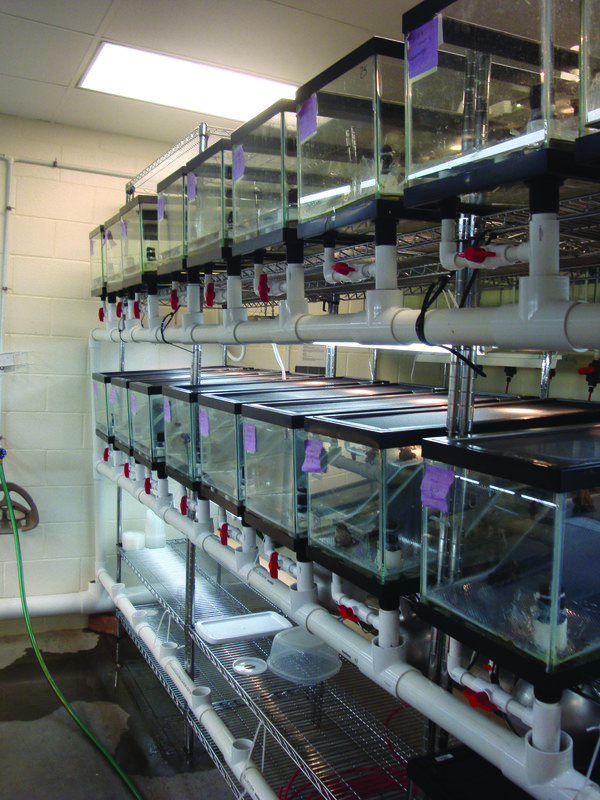 Today, the facility is home to over 500 Houston toads. The toad quarantine building is additionally utilized as a location for the “head-starting” of wild-collected egg strands. Head-starting refers to the practice of raising animals to a life stage where they have a better chance of survival in the wild. In the case of the Houston toad, this point is several weeks after metamorphosis (a large number of predators love feeding on toad eggs and tadpoles!) 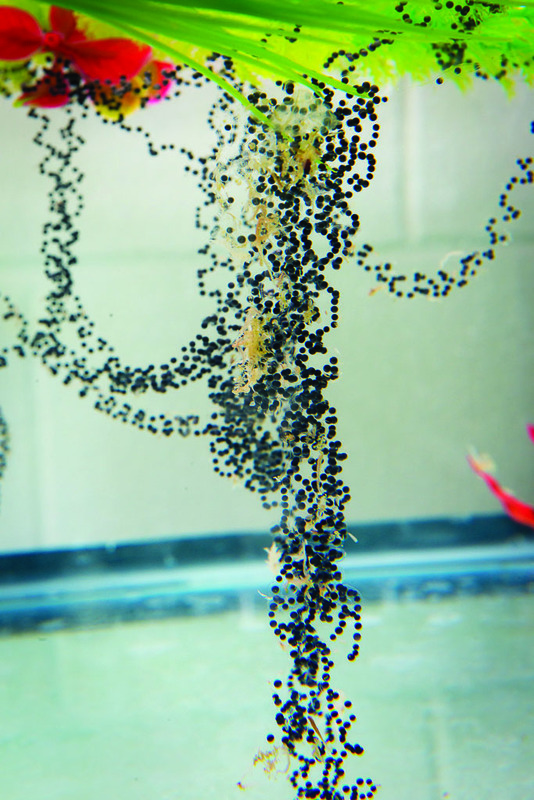 Since 2007, the Houston Zoo has head-started 31 partial egg strands, resulting in the release of ~20,000 juvenile toads at 10 different sites in three Texas counties. 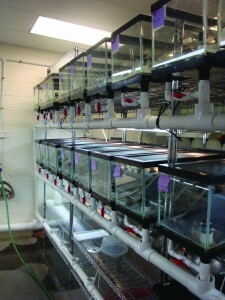 The facility additionally serves as a site for the captive breeding of toads. The Bastrop-Complex wildfire in 2011 and the following drought of 2012 significantly impacted wild Houston toad breeding sites and no eggs were able to be collected for head-starting during these years. Without head-starts to care for, the zoo focused on the development of an assisted breeding program for the captive toad colony. In the spring of 2013, we successfully released 36,000 Houston toad eggs into Bastrop County that were produced entirely in captivity! Encouraged by this initial success, the primary focus of the zoo’s toad program this year is to produce as many eggs as possible for release into the wild. We have set a lofty goal for this spring’s breeding season – to produce 200,000 eggs by the end of May! 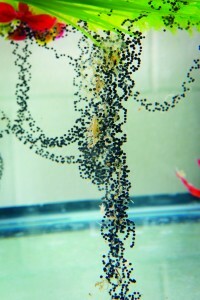 The majority of these eggs will be head-started at a protected, outdoor facility maintained by Texas State University. Additionally, the Fort Worth and Dallas Zoos will also be joining us in our breeding efforts. It is our hope that with the participation of all three institutions that we will achieve our recovery goal of releasing a million Houston toad eggs into the wild. Could this be the year of the Houston toad? To stay updated with our progress throughout the breeding season, you can follow us on our blog or “like” us on Facebook. You can additionally help support Houston toad conservation by visiting Bastrop State Park. A portion of the park’s entrance fees go to support habitat restoration and conservation programs. More information can be found at: http://www.tpwd.state.tx.us/state-parks/bastrop.